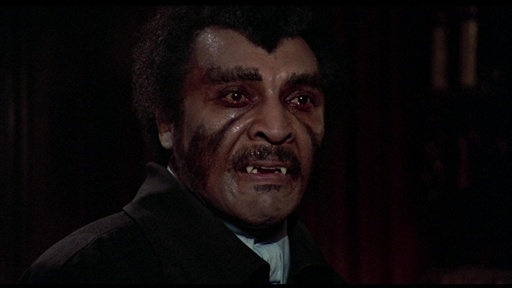 As I mentioned in my "Show and Tell" post this week, I hosted a Blacula live tweet last Tuesday. I didn't do any research into the movie because I wanted to go into it cold, plus I'm quite lazy. But I figure before we get to this Tuesday's live tweet on the 1973 sequel Scream Blacula, Scream, it would be good to learn a bit about the man who played Prince Mamuwalde, William Marshall. Marshall was born in Gary, Indiana. He studied art at New York University before moving on the the Actor's Studio. He has played Othello in at least six productions of the play. 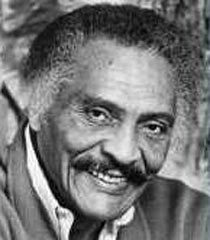 He played Frederick Douglas both on television (Frederick Douglas, Slave and Statesman) and on stage (Enter Frederick Douglas). He really enjoyed playing black leaders so as to get them into public awareness, as they were often left out of mainstream discourse. Per friend Anita Rutsky, "He wanted the world to hear them [black leaders] because they weren't in the textbooks." Won an Emmy in 1974 for his one-man show As Adam Early in the Morning. Marshall actually contributed to the Blacula script. He was the one who wrote the character as African prince Mamuwalde, and that it was his effort to end the slave trade that led to his being turned turned into a vampire as opposed to just being a hapless victim. Marshall's final film role before passing away was a small part as one of the poker players in Richard Donner's 1994 western, Maverick. Unfortunately, at no time does he kick Mel Gibson in the nuts. Bucking the trend of the majority of the acting community, Marshall stayed with his partner, Sylvia Jarrico, for over 40 years. He had four children: his three sons Claude, Malcolm, Tariq, and daughter Gina Loring. Bergan, Ronald. "Obituary: William Marshall." The Guardian Online. June 22, 2003. http://www.theguardian.com/news/2003/jun/23/guardianobituaries.film. Sebestian, Simone. "William Marshall Obituary." The Chicago Tribune Online. June 19, 2003. http://articles.chicagotribune.com/2003-06-19/news/0306190206_1_mr-marshall-william-marshall-othello. "William Marshall." Bio. A&E Television Networks, 2015. Web. 31 May 2015. http://www.biography.com/people/william-marshall-20675171#later-years. "William Marshall, Actor in Movies and on Broadway, Dies at 78." New York Times. June 21, 2003. http://www.nytimes.com/2003/06/21/obituaries/21MARS.html. Follow Me! I Know the Way! Picture Window theme. Theme images by Radius Images. Powered by Blogger.